The box is big. 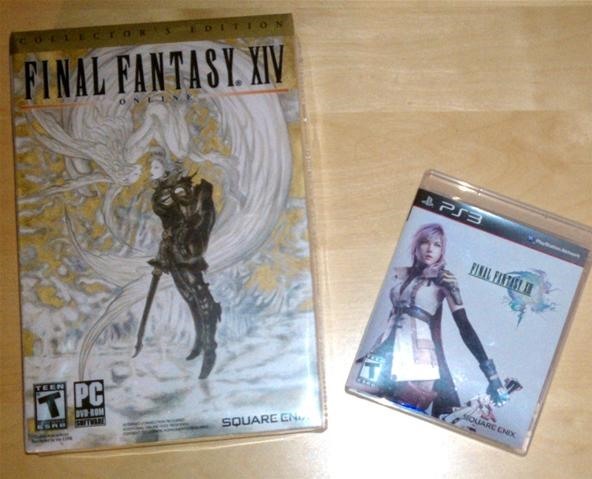 I put a regular game case next to it for comparison. It's also about a inch and a half thick and the box opens up like a book. 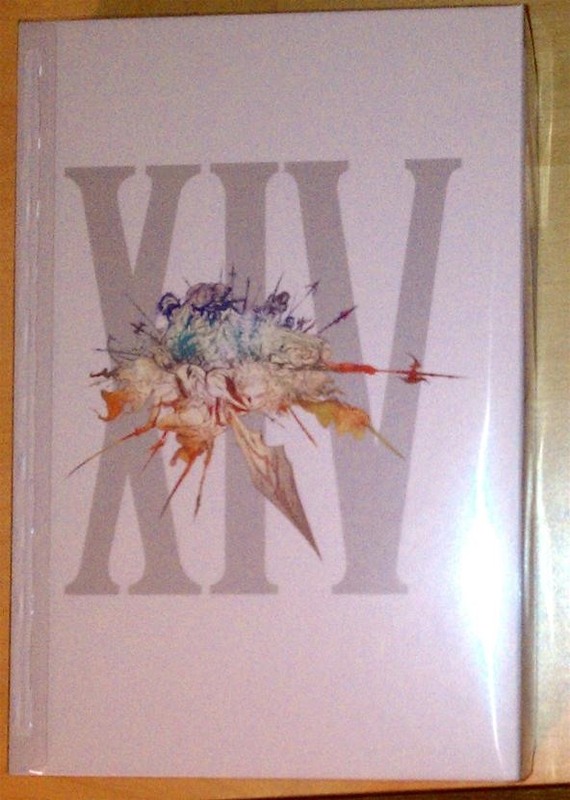 The back of the box is subtle and while the art in the front is nice, I prefer this side for it's simplicity. 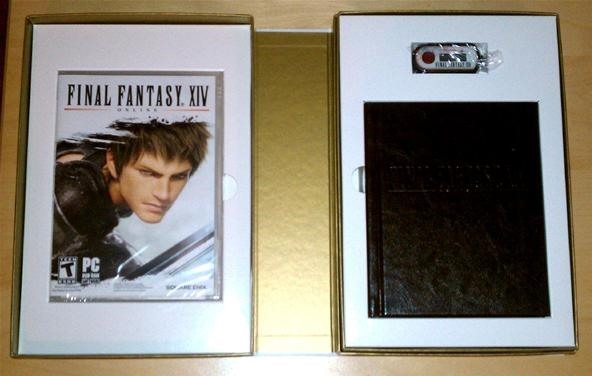 Once you open the box you'll see the three main items: The game case, the hardcover journal, and the security key chain. 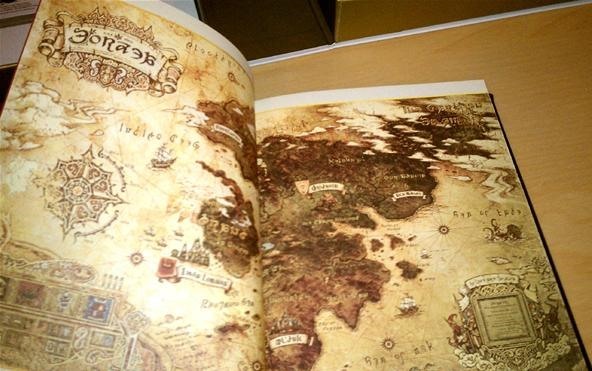 It is disappointing that this edition did not come with a soundtrack or a cloth or larger sized map. 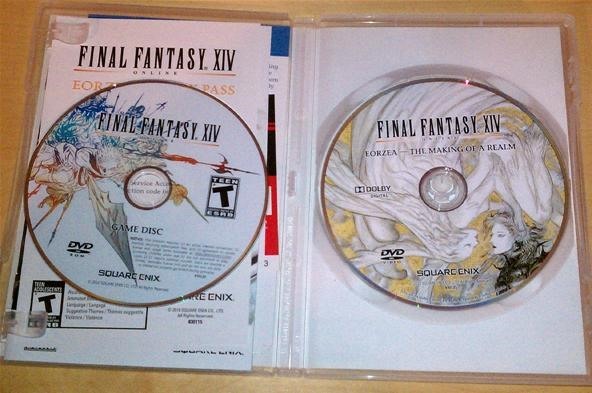 There are two DVDs in the case, the installation and a behind the scenes disc. 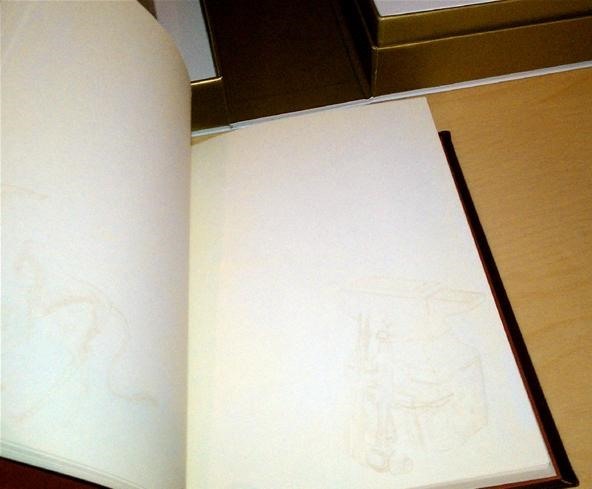 Each DVD comes with a close up of the art displayed in the box. A Right of Passage code: This insert is the most confusing one. A right of what exactly? It says to register the code and they will mail you a certificate with a serial number, and that's it. It doesn't say how that is actually useful. How does a certificate that looks like a diploma help you in the game? Does it activate anything? Just a decoration? The description given is useless. A Square Enix Members Product Registration Code. This is separate from the CD Key and no idea why this would be useful. I take it that there is a separate Square-Enix site that you can register the game like the Bioware Social Network. A 30 day buddy pass code. A friend can play with you for 30 days. This is the one insert I liked the most, at least it's somewhat helpful in relation to the game. None of my friends like subscription based MMOs, so it's still up in the air as to what I'll do with it. A code for an in-game item: The Onion Helm. A very dorky looking hat, it lets you recover faster after death. This item isn't bad, but this is the only in-game item. I was expecting several for a special edition. This is a security key chain. It is an extra layer of protection to prevent hacking of your account. If you enable this, you'll press the red button on the key chain and get a unique password every time to log into the game or your account management. This is only available for the special edition. I'm not going to use it. What if I lose the stupid thing? 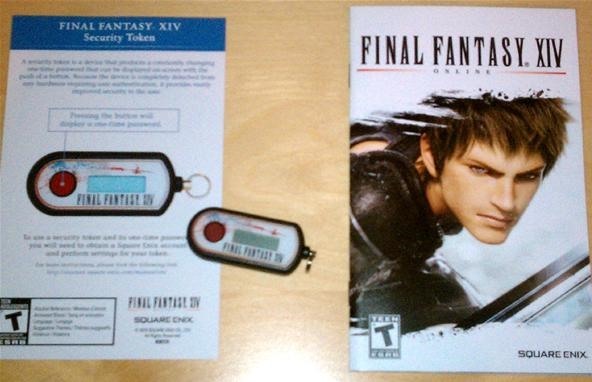 Next to the key chain is the manual for the game. around 20 pages long. It is an extremely light and disappointing manual. There is no strategy guide for this game, so that makes the actual documentation for the game quite horrible. The manual barely covers anything, just the simple basics. The game relies on in game tutorials to teach you the game, but having played the first section, it is horrible. You basically have to feel your way through your first fights. The only redeeming feature of this manual is the instruction on creating an account and the keyboard/controller layout. This is the hard cover journal. From earlier descriptions of this item, it seemed that this would be a journal covered with original art, but in reality that was stretching the truth. If you look closely you'll see small designs that lightly stand out of the page. that's 99% of the pages of the book. There are only 15 pages or so with full color art, like the map below. I don't understand the function for this journal. It's a nice piece that will probably never see any real use. It's easier to keep item, armor, and ability stats on excel or with a cell phone app than writing it all over the place in the journal. It's the same with the Star Craft 2 writing pad, and that item went strait to the trash. I would rather have a journal filled with stats and tables for items in the game, like a mini resource guide since there is no strategy guide. Well that's it. That's the entire special edition. Sorry for the dark pictures, it turns out my place has low lighting that cameras love to point out.